One bright, sparkling morning earlier this summer I had the good fortune to board the Cross Sound Ferry, out of New London, Connecticut, for a day trip to the North Fork of Long Island. This trip was a first for me. 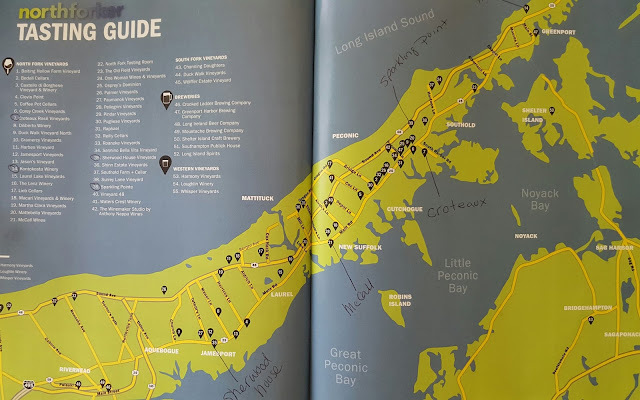 You may be surprised to know that even though I have lived on the southern shore of New England my whole life I have never taken a ferry to one of the nearby islands. Being prone to motion sickness, the thought of becoming ill on a ferry has always been a major deterrent. 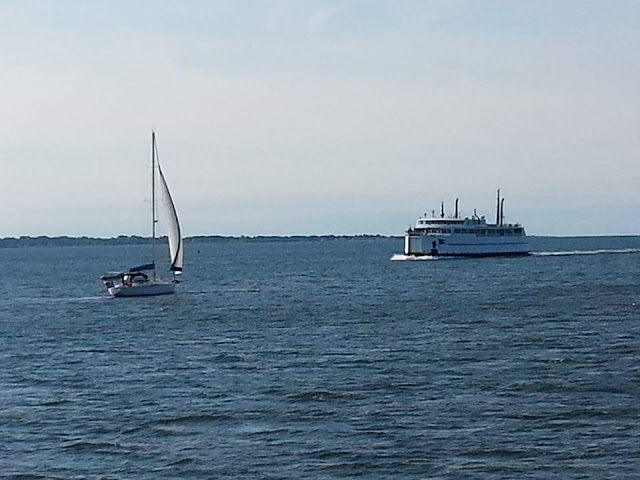 This turned out to be the perfect day for me to take a ferry ride across Long Island Sound. The sun was bright and the water was smooth. The nearly ninety-minute ride was delightful. I chose to enjoy my time on the water on the open air deck atop the ferry. When you arrive by ferry from New London, you'll land at Orient Point on eastern Long Island. My first surprise of the day was the very rural nature of Long Island's North Shore. Bring your car or arrange for transportation when you arrive. We brought our car. You'll begin your drive along Main Road. Take your time and meander along. When you come across one of the many farm stands, take the time to stop and peruse the local offerings. 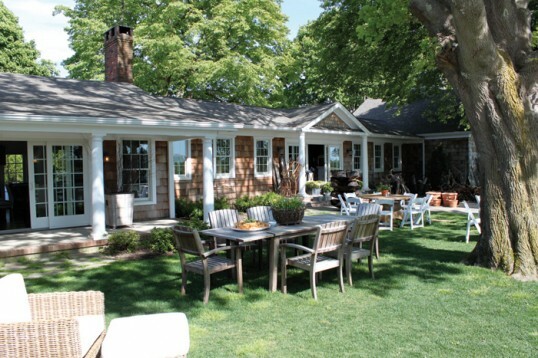 You may be like me in thinking that Long Island is a crowded, celebrity-filled, hot spot. That may be true for some Long Island spots, but not the North Fork on this mid-week day. 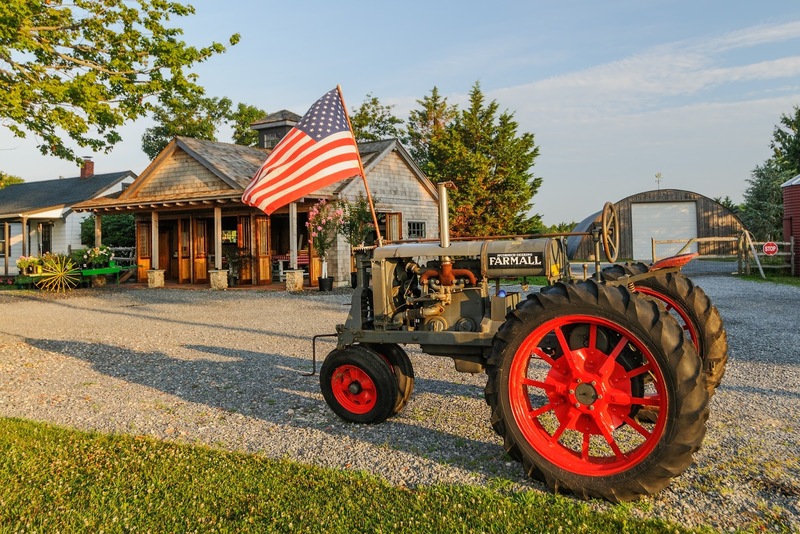 You'll see signs everywhere of the area's rich farming history. 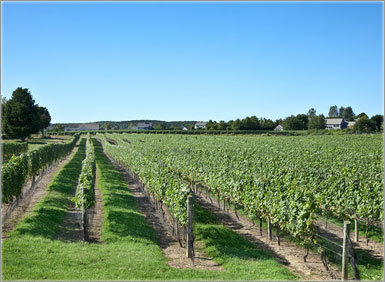 Today, much of the farm acreage has been converted to vineyards. This will be no surprise to you once you realize there are more than fifty vineyards dotting the landscape, each one different from the other. 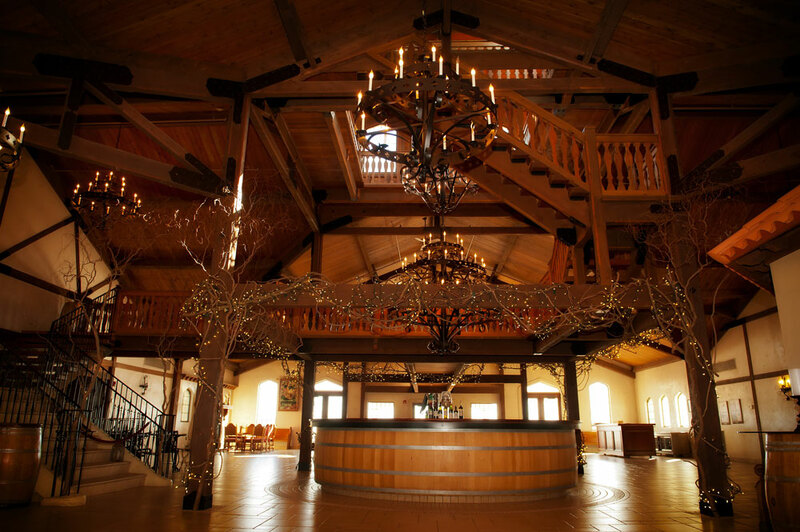 Pace yourself, and stop in to enjoy a sip of wine and the beautiful grounds of your selected vineyards. At Sherwood House Vineyards you can peruse an eclectic mix of home furnishings, or sit under the trees while sipping your wine. At Raphael Vineyards, you'll find a grand tasting room, but I recommend you take your wine out to the covered porch where you'll overlook rows and rows of grape vines. Long Island's North Fork is not just about wines. 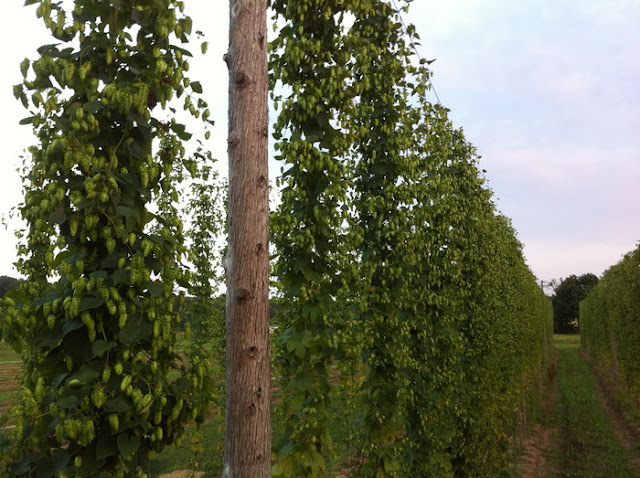 Along the way, you'll notice hops being grown to support the growing craft beer industry. You may want to choose one of the many craft breweries along the way for a tasting as well. 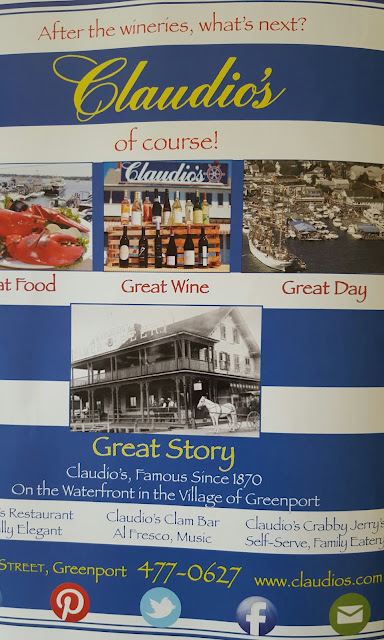 Before catching the return ferry we stopped for dinner at Claudio's in Greenport. It's a touristy eatery located right on the docks in Greenport. The food was typical for a restaurant like this, but the location is worth the price of admission. We paid $20 to park in the restaurant lot which was returned to us when we paid our bill. While we ate we had the pleasure of gazing on the amazing Skyfall yacht, which you can charter for $300,000 per week. Yes, $300,00 per week. 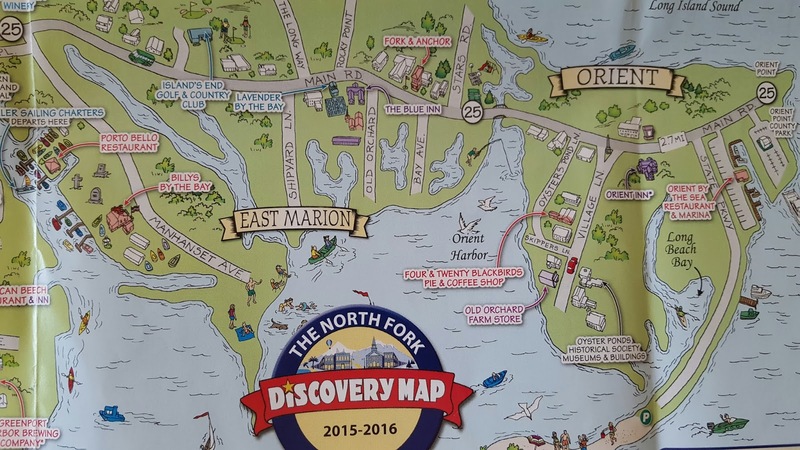 If you have time, take a walk through the town of Greenport. 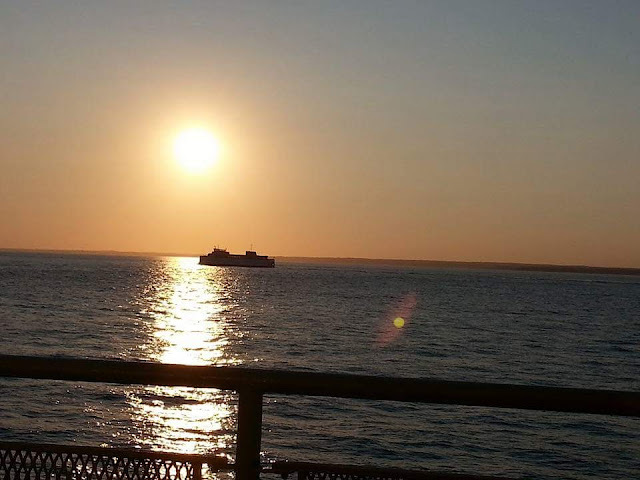 Time your return trip to coincide with sunset and you'll be able to close out your day relaxing on the open deck of the ferry while watching the sun slowly drop out of sight. 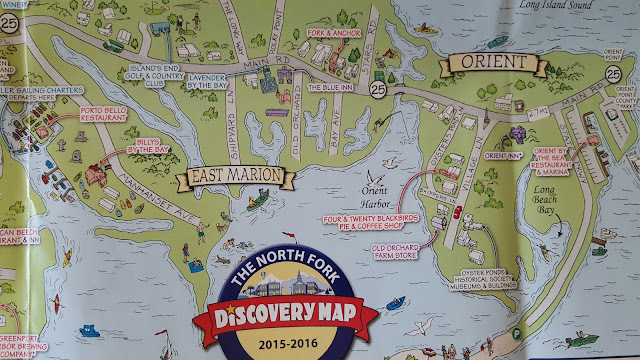 Yes, my day trip to the North Fork of Long Island was a very good day. I highly recommend it! Summer is a perfect time for a visit, but the location appears to be equally suited to a spring or fall day trip.